Soak in the satisfaction of our Satin Body® Silkening Shea Lotion. It instantly comforts and moisturises your skin, relieving dryness. Clinically shown to moisturise for 24 hours. Your skin will feel deeply moisturised, nourished, satiny-smooth and look revitalised. Satin Body® Silkening Shea Lotion, formulated with luscious shea butter and enhanced with vitamin E, feels luxurious and pampering. It instantly comforts your skin, providing immediate relief for dryness, and is clinically shown to moisturize for 24 hours.† Your skin will feel deeply moisturised, nourished, satiny-smooth and look revitalised. Let satisfaction soak in. Use in the morning after bath. Apply liberally as needed, till your skin feels supple. 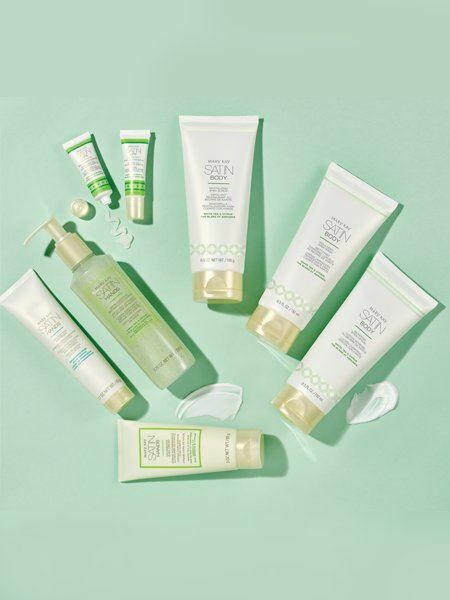 For smoother skin, check out our full line of amazing Satin Body® products. Formulated with luscious shea butter and enhanced with vitamin E, this quick-absorbing lotion moisturizes your dry skin quickly and all day long.